GETTING THERE FROM HERE-Much of the reason why voters (in particular, commuting and taxpaying voters) are so fascinated by transportation is that we're all affected. 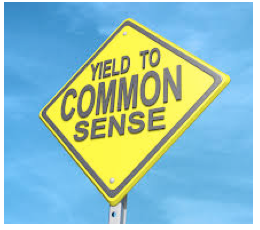 Political or other voices telling voters that their commute and travel times will be decreased, and their ears, eyes, and attention spans all are drawn to those voices...yet many of those voices have lost their credibility because they've performed too many self-inflicted wounds. Fix #1: Stop Lying (Part 1)-Whether it's the state of California or the federal government, the discussion of fixing and expanding our roads and rail systems is used to promote all sorts of other agendas that take money away from cost-effective transportation construction--only to then have most of a bond initiative, or tax initiative, go to other NON-transportation priorities. Affordable housing (which itself is a nebulous term that needs clarification on multiple levels). education, police/fire and other first responders, the environment, etc. are all important priorities, but when discussing roads and rail projects, they should be stand-alone and not with all the coat-tail budgetting that has NO direct ties to transportation and mobility. Sacramento and Washington have been entirely guilty of that coat-tailing, and the voters are often turned off by politicians who continue to claim they want new funding for transportation--but who really appear to want and advocate for something...else. Fix #2: Stop Lying (Part 2)-Any initiatives for transportation at the local level (such as budgetting for street repairs, road/rail) continue to be performed frighteningly over the promised cost, and/or with insufficient features and mitigations. To be fair, Metro has become much better at arranging contractor agreements that hire local contractors, and with deadlines to ensure timeliness of finished products...but the lack of coordinated purchase of rail cars, the lack of explanation as to cost overruns and project delays (some are understandable and forgiveable, others aren't), and the lack of accountability to the general public still leaves Caltrans/Metro credibility in a tough spot. Freeways get all the bells and whistles, yet rail lines get insufficient parking, insufficient bicycle and bus commuter accommodations, and insufficient coordination with utilities (even if, as with the DWP, the utilities are the guilty party) to please the taxpayers who thought their public investment would get them more. And our LA City network of bus stops...demeaning and dehumanizing to say the least. The same political leaders run City Planning as they do the LADOT and DWP and Metro--it's not fair to entirely blame the public servants...but it is fair to blame the political leadership when things happen and leave the taxpaying public feeling that they were lied to, or at least misled. Fix #3: Telecommuting and staggered work schedules -Ours is a 24-7 world, with computer-based workers talking to each other throughout the day and most of the night. Are there sufficient tax policies and other rewarding of businesses and contractors who use telecommuting as a way to reduce car commutes? As was shown decades ago in the 1984 Olympics, those willing to work different schedules could and did make a difference. Are there sufficient tax policies and other rewarding of businesses and contractors who use staggered schedules to mitigate the "traditional rush hour"? Fix #4: Quarries-City, county and state governments do not recognize that industrial land, particularly land in which the materials for asphalt, cement and other construction elements are mined and processed, have value. Industrial land means jobs, no matter how "ugly" or "blue collar" they might be. Mayor Garcetti has made some modest gains in using LA resources to make the building materials necessary for cheap roads and other public works projects, but will we ever have a mayor who can slap away developers and Planners who ignore the fact that quarries and industrial land remain precious and necessary components of a prosperous society? ustrial land for more profitable residential conversion that they can, with the City Planning department as willing accomplaces? People have to have a place to live, but they also need a place to work. Fix #5: Bike Lanes-Bicycle lanes and bicyclist rights have a growing role in our society, but every road has its own ups and downs with respect to encouraging large volumes of bicyclists. The three-foot rule is a good one to bicyclist safety, but are bicyclists being educated as are motorists on how to get along? Does the replacement of car lanes with bicycle lanes (a "road diet") always help bicycle traffic flow in a cost-effective, motility-enhancing manner? Both motorists and cyclists have their role in our economy and in our society, but there is also a safety issue that must be raised without being accused of being anti-bicyclist. We need more bicycle lanes, and at least sharrows, whenever possible or reasonable--what we do NOT need, though, are more injured or dead bicyclists. Fix #6: Homeless/Veterans-The encampments of homeless and campers/RV's on our major thoroughfares isn't just urban blight--it's a transportation issue that threatens flow and mobility on our streets and sidewalks. Being politically correct in addressing the homeless and oversized vehicles clustering on our streets will just not get the job done anymore. We have a sprawling West LA VA Medical Center grounds to house and care for our veterans--too often has that center been host to a variety of inappropriate land uses that do not have anything to do with our veterans. We should not have veterans on our streets after their years of sacrifice and service, particularly since there is an obvious location to take care of them. That said, those who choose to encamp and park on our sidewalks and streets who choose NOT to get help (particularly non-veterans) really ARE breaking the law. As a society, we have the obligation to help those in need of substance abuse, psychiatric or other counseling and related needs--but we also have the obligation and right to live in a society that asks those abusing public thoroughfares to go somewhere else if they break the law. Fix #7: Workforce vs. Affordable Housing-Much, perhaps most of our City "Affordable" Housing initiatives have devolved into a game of smoke and mirrors that have nothing to do with helping out low-wage workers live near where they work, and does not create a reduced need for these workers to drive or take long bus trips to their employment. As our City now debates on the details of Transit-Oriented Development near train stations, the need is greater than ever to figure out a strategy of working with businesses to make sure that "Affordable" Housing is replaced with "Workforce" Housing that truly has a benefit and alternative to increased car trips on our streets. It has to start with the City in order to have that strategy enforced. Senior Affordable Housing and Student Affordable Housing also should be created with the plan of getting people out of their cars and using alternative transportation modes--not just a poorly-monitored rental game of getting "connected" residents (who aren't always in financial need of affordable housing) into conveniently located units. And families with kids being presumed to "only" use transit? Maybe if they are too poor to own a vehicle, but otherwise common sense dictates that they will certainly use it for the many destinations that children need for their health and personal development. That is merely Common sense. Common Sense is what will get the job done when it comes to transportation initiatives, such as the "Measure R-2" being considered for 2016. Take away that common sense, and take away the accommpanying credibility that goes aong with it, and "improving our transportation infrastructure" will no longer be something that voters and taxpayers can trust. After all, it's only Common Sense that tells us we can expect the voters and taxpayers to be fooled and exploited for only so long.